The best part is interacting with wonderful readers who love and relate to your characters and worlds. This is a double-edged sword, though, because it’s also the worst part in that you never want to disappoint your fans. But writers need to spread their wings and challenge themselves, which means the audience that liked one book may not like the next. As part of my series on the “5 Things You Need to Know to Write a Bestselling Book,” I had the pleasure of interviewing A.G. Howard. 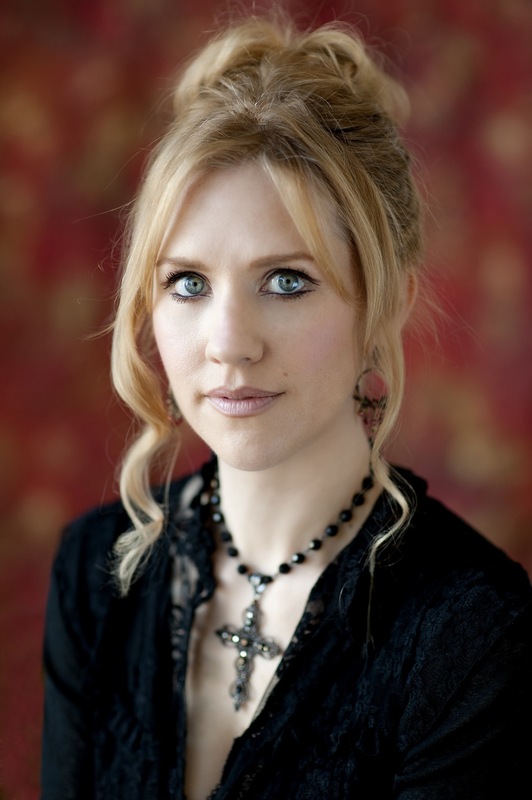 A.G. Howard, the #1 New York Times and international bestselling author of young adult retellings and adaptations. 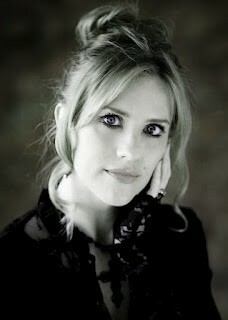 Her titles include theSplintered series,a gothic Alice in Wonderland spin-off; RoseBlood, a Phantom of the Opera–inspired adaptation; and her latest release, Stain, a gritty fairy tale/high fantasy inspired by The Princess and the Pea. As a teen, I made up stories to entertain the kids I babysat, but I never took the craft of writing too seriously until many years later when I lost my beloved grandfather to brain cancer. The night he died, I sat down and wrote a two-page poem about him and his life — my way of paying tribute to the sharp wit and tender heart that he had passed on to his grandkids. After reading it, my cousins asked to use it as part of the eulogy. At the end of the funeral, people I didn’t even know came up to me and told me that they remembered the same things about my grandfather. It was in that moment — when I realized I could touch people’s emotions and connect to them with my words — that I fell in love with writing. I went from poems to short stories, and then finally novels. I will always hold up my grandfather as my inspiration, because the end of his journey was to be the beginning of mine. The most fulfilling moments are when my books, which are fictional and pure escapism, reach people beyond just entertaining them. I’m a very visual storyteller, and I’ve had readers contact me who’ve suffered clinical depression and claimed my books helped them overcome aspects of their condition due to the style in which they’re written. One reader said that during their depression, all the colors of life fade for them, [it’s] like wandering aimlessly through a grayscale world. They attested that after reading Splintered, they began to see colors again for the first time in years. Nothing is more rewarding than knowing your words, ideas, characters, and worlds have touched a reader’s life on some deep, personal level. In October of 2017, my Czech publisher hosted me at the Humbook Festival in Prague (a 12+ hour flight across the ocean from my home state of Texas). My husband accompanied me, and we stayed for a week. It was a once-in-a-lifetime experience getting to meet foreign fans, seeing the beautiful architecture, sampling new cuisines, and learning about another country’s culture. I’ll never forget that trip. I have an entire Pinterest boarddedicated to it to ensure I don’t! The best part is interacting with wonderful readers who love and relate to your characters and worlds. This is a double-edged sword, though, because it’s also the worst part in that you never want to disappoint your fans. But writers need to spread their wings and challenge themselves, which means the audience that liked one book may not like the next. For example, with every retelling/adaptation I pen, I honor the original style in which it was written. The Splintered series, in keeping with Carroll’s Adventures in Wonderland, has a darkly whimsical atmosphere, teeming with riddles and strange creatures that are both comical and creepy. On the other hand, my Phantom of the Opera spin-off has a very brooding and dramatically romantic atmosphere in keeping with the original book by Leroux. Some readers who loved the whimsical fantasy aspects of my first series couldn’t relate to the dark paranormal elements in my standalone. Being afraid to disappoint fans can trip up a writer who is hoping to develop their craft or take a chance on something new. I overcame this by remembering there are things unique to me as an author that bind all my stories: the way I piece words together, build characters and worlds, and turn out twisty plots — and there are readers who are drawn to my storytelling essence. I know those readers will trust me enough to follow wherever my muse leads. Remembering that fan base — the one I’m truly writing for — enables me to continue honing my art. Refining my work to professional standards. You don’t necessarily have to attend an MFA program to learn the art of storytelling through writing (although many very successful authors have). In my case, I was a stay-at-home mom without the time or money to take classes, so I taught myself by reading voraciously within the genres that interested me most (fantasy/paranormal) while also reading books on the craft of writing. There’s a list of the books I studied here. I read these as I wrote my first novel. Then I rewrote that book almost a dozen times, applying new rules and concepts as I learned them. This may not be the ideal way for every writer, but for me it sharpened my ability to edit. Now, refining comes very naturally as I’m writing, which in turn helps me churn out very clean first drafts. What was the biggest challenge you faced in your journey to becoming a bestselling author? The biggest challenge I faced was internal: when I questioned if anyone would ever be able to sell my work. My plots tend to be complex and blur the line between literary and commercial. But that’s my voice — how I tell a story — so it’s something I can’t/couldn’t change. I signed with my first agent on my fourth adult book. During its unsuccessful two years on submission, I wrote books five and six, which my agent turned down for their high fantasy content. Next, I had an idea for a young adult Alice in Wonderlandspin-off my agent was very excited about. After I completed it, Agent 1 suggested I take out the fantasy aspects, convinced that a contemporary parallel to Carroll’s tale would sell better. In my heart I knew that my warped and magical Wonderland setting and creatures were what made the book stand apart. So I left my agent, although I’d reached an emotional low. After contemplating quitting, I dusted myself off (with the help of supportive family members and writer friends) and sought a new agent who might share my vision. At last, I found them — nearly seven years after writing my first novel. Then it took another half a year to score a publisher, and [it] would be two more years before I’d become a bestseller. My suggestion to aspiring authors going through similar low points? Never stop or stand still; constantly move forward on your path. Keep writing, keep querying, keep honing your craft until you finally find your agent/publishing match. It also helps to surround yourself with other writers going through the same stages so you can keep each other on track, encouraged, and motivated. I learned my most valuable lesson when I left my first agent, and even to this day, it helps me through the editing process: if a writer is serious about getting published, they have to learn the difference between pride and vision. If people are telling you to change something in your book that you love, stand back and ask yourself why you love it. Is it personal to you alone? Or is it something integral to the story? Pride applies to your own glory; vision applies to honoring your story-truth. Never make changes that will compromise your book’s vision. But be humble enough to let go of pride if it will make your characters stronger or your book a more standout read. 1. The only way a query letter to agents should stand out is via a unique story premise and polished writing. Everything else needs to be standard and professional. When I started constructing queries for the first book I ever wrote, I read lots of books and articles on how to go about it. One of them suggested you do something out of the ordinary to get noticed. So, I decided to make a query brochure — trifold and in full color — that had pictures of my characters, a short synopsis, an excerpt from the book, a headshot, and an author’s bio (under a pseudonym, thankfully . . . that’s the one thing I did right!). You might’ve already guessed this, but I didn’t get many responses. I’m so glad I only sent out a handful. 2. Finishing one book does not equate instant success. I just knew the first agent who read my three-page query letter (far too long, as I would later learn) would want to represent my completed manuscript. In truth, I got over one hundred rejections before I ever learned how to write a query letter to begin with. I once laid out the rejections I received, and they spanned from one end of my house’s hallway to the other. It took that many for me to realize that if I wasn’t going to get in the door with book one, it was time to write another. 3. Agents are not out to make you miserable. Very early on, I did a post on my old blog questioning the form rejections writers receive, even using some of mine as an example — omitting names, of course. A savvy fellow blogger (who happened to be an assistant for an agent) pointed out that it might not be the smartest move, considering if any agents checked out my blog, they might be offended. She helped me see that agents are in this for the same reason as writers: we all want to get the books we love published. But agents are human; they have limited time, ergo, they have form letters to help them do their jobs. Treat them with respect if you expect it in return. 4. Even once you get an agent, you might not have them for life, they might not love everything you write, and you most likely won’t be published within months of signing. Now, this isn’t true for everyone, but it was for me. Sometimes we don’t find our literary soulmates until books two, three, four, or — in my case — seven. What’s important is the willingness to keep writing. Make changes that resonate but stay true to your voice and vision. Have the courage to do what’s best for your long-term career. 5. Even if an agent turns you down the first time, you can query them again with another work down the road. Refer back to that long line of rejections that lined my hallway . . . one of those came from my present agent. We’ve discussed it since, and she didn’t remember that I sent her a query for my first adult fantasy, or that she had turned it down because she didn’t love the writing. Thinking that meant she’d never want to see anything else I wrote, I made a point not to query her with my young adult debut, Splintered, some six years later. I queried her colleague instead. Had said colleague not referred my Alice in Wonderlandspin-off to my present agent, I wouldn’t be where I am today. An agent’s tastes can change over time, just as your writing will. Never be afraid to try an agent again if you have a few more books under your belt. Chances are, one of you has changed enough to make a connection. I have several ideas running through my head for my next project, one of which may or may not involve vampires. As for what I’d like to read: I recently watched the Sharp Objectsminiseries on HBO and am now eager to read the novel by Gillian Flynn. I know … I did it backward! You should always read the book first. I would like to see us learn to talk toone another again, person-to-person. Not talk atone another from behind anonymous avatars. Face-to-face lends itself to more sincere discussions that cultivate empathy, compromise, and balance.